No doubt about it. Americans have fallen in love with their dogs. We have dog walkers, dog groomers, dog parks and dog-friendly hotels. We buy organic dog food, put our pets on puppy Prozac and dress them up in costumes for Halloween. In the last 15 years, the amount of money spent on pets in the U.S. jumped from $17 billion to $43 billion. The role of dogs has changed. Fido has moved from the backyard doghouse to the master bedroom, evolving from man’s best friend to a bona fide family member! Recent research shows they can read our facial expressions and pick up subtle cues that even toddlers can’t, and any dog owner has experienced moments where it seems like there’s an almost extrasensory frequency by which our two species communicate. What owner hasn’t come home on a bad day to find his dog immediately understanding, and offering a little extra love as a result? And the best part of this relationship is how simple it is. While we often ask so much of them, they require almost nothing in return. You can ask your dog to chase a Frisbee, take a nap on the couch, herd some sheep, or run around a show ring and he’ll do it, happily, for hours on end. He only wants to be fed, and told he’s good, and most of all loved. If a dog has love, he really needs nothing else. Unlike your kids, who some say will bug you for money until the day you die. Dogs are popular pets in many countries. A British survey from 2008 says people are “choosing dogs over kids” – citing the economic downturn as the primary reason for the shift in thinking, 60% of survey participants said they would put off starting a family or choose to not have children altogether due to the uncertain economic future, and of that 60%, 25% said they would adopt a dog instead. In Japan (with an already low birthrate) and India, clearly the pressure to excel in one’s career has many young, two career couples choosing a dog over a child to complete their family. “Couples Choose Pet Over a Child” (India), and “Dogs – The New Kids of Japan”, and “Couples Choose Dogs, Not Kids” (Great Britain). Humans and dogs have lived in close proximity for thousands of years. The effect of pet ownership on human health has been studied on a number of occasions but has been somewhat inconclusive due to the difficulties in studying such a complex relationship and assigning direction of causation. Pets provide companionship and also probably confer physiological health and psychological benefits . For example, pet owners have fewer doctors visits and longer survival following heart attack, compared to non-pet owners. However, it has become increasingly apparent that pets are an important source of zoonotic infections. Approximately 30 to 40 organisms that cause zoonotic infections are known in companion animals, including dogs. Some groups in human society are at greater risk of zoonotic infection due to their immune system or behaviour, for example young children, the elderly, pregnant women and the immunocompromised. In ancient Egypt, dogs were thought of as being trustworthy and loyal, in the same way we do today. For the ancient Egyptians, dogs were kept as household pets although playing with or patting them was not overly encouraged. Dogs also had other qualities that endeared them. 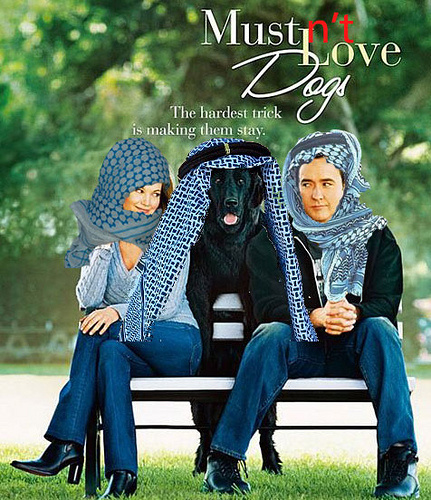 The Islamic legal tradition has developed several injunctions that warn Muslims against most contact with dogs. Traditionally, dogs have been seen as impure. This can be proven by the presence of zoonosis. Unfortunately, many Muslims have used this view to justify the abuse and neglect of dogs, even though cruelty contradicts the Qur’an. So why do otherwise normal humans with decent jobs and sound minds spend all of their free time and much of their disposable income on what seems like such a frivolous pursuit—primping and preparing their dogs to be judged in the show ring? The best explanation for everything canine, from the evolution of the wolf to the domestication of the dog to the incredible emotional relationship that has emerged between the modern pet and its owner is that dogs feel what we feel. This is how a dog “knows” its place and what it must do to get along, a process that has been crudely approximated and grossly misinterpreted as a dominance hierarchy and a learning-by-reinforcement theory. It helps us see that there can be a form of intelligence that has nothing to do with thinking, and this is being expressed by the intelligent ways that dogs adapt to human civilization. If we don’t apprehend the energetic essence that all things have in common, our mind will perceive the inside as being distinct from the outside, the mind separate from the body; time segmented into a past, present and future; nature disconnected from humans; and our dog as a separate conscious being apart from ourselves. We will not see that dog and owner are connected by emotion and going by feel. When we see a problem behavior in a dog, before we set out to fix the messenger, we might first take care to hear the message. Everything a dog does and even its personality is a one-to-one translation of what it’s owner is feeling. In a dog the heart is the network’s (dog’s) brain. Dogs don’t and can’t think, they do not respond to what their owner thinks, says or even does; rather dogs react to their owner’s emotion as a form of attraction. Dogs don’t project thoughts onto their owners, they project a feeling. Emotions are universal code among all animals, from mouse to moose to human, and what dogs feel and then do represents a decoding of an owner’s thoughts, actions, feelings, memories, and instincts back into the primal emotional logic that best expresses the owner’s emotional, or animal, mind. More people are forgoing children because they feel it just doesn’t seem right to bring a child into a world with so much man-made suffering, a world where, to borrow from poet Robert Burns, man’s inhumanity to man makes countless thousands mourn. So we cling to the perception that animals are nicer and more enjoyable than, and even morally superior to, humans. But valuing pets over people discounts one fact: While animals make great companions, offer health benefits, and can be a source of endearing affection (as Aldous Huxley said, “To his dog, every man is Napoleon; hence the constant popularity of dogs.”), they live in a different moral universe than man. As I have said before, Human beings are created in the image and likeness of God. And though capable of monstrous acts, human beings also have the ability – unique in creation – to demonstrate heroic forgiveness and compassion. To know something as an unshakeable truth isn’t a thought, it’s a feeling. Imagine if we could meet someone and virtually on sight, feel what that person was feeling. And, I don’t mean trying to imagine how they are feeling, or asking. I mean actually feeling the other person’s emotion, without any thinking whatsoever, an empathic communication of pure energy, a one-for-one transference in every nuance and subtlety of one individual’s feelings to another. If such direct communication were possible, then we would have no need to save face or hold onto a feeling that was no longer present. There wouldn’t be two points of view to reconcile; there would be only one emotional point of view. We would find ourselves responding to that person and to all other and behaving just as dogs do; from heart to heart. This entry was posted in Uncategorized and tagged Aldous Huxley, ancient egypt, Animal, Dog, education, health, human, humanity, islam, learn, life, mental-health, nature, one love, Pet, Recreation, Robert Burns, seth godin, sethgodin.typepad.com, society, universal, youtube.com. Bookmark the permalink. 6 Responses to Man’s Ultimate Creation….A Dog? Helpful information. Fortunate me I found your site accidentally, and I am stunned why this coincidence did not took place earlier! I bookmarked it. Hello, i believe that i noticed you visited my website thus i got here to “go back the desire”.I am trying to in finding issues to enhance my site!I suppose its adequate to make use of a few of your ideas!! Where I come from we never get any of this type of article. Got to hunt around all over the globe for such quality info. I ‘m thankful for your commitment. Keep it up! I’ve read this type of thing on another site, but you did it better!